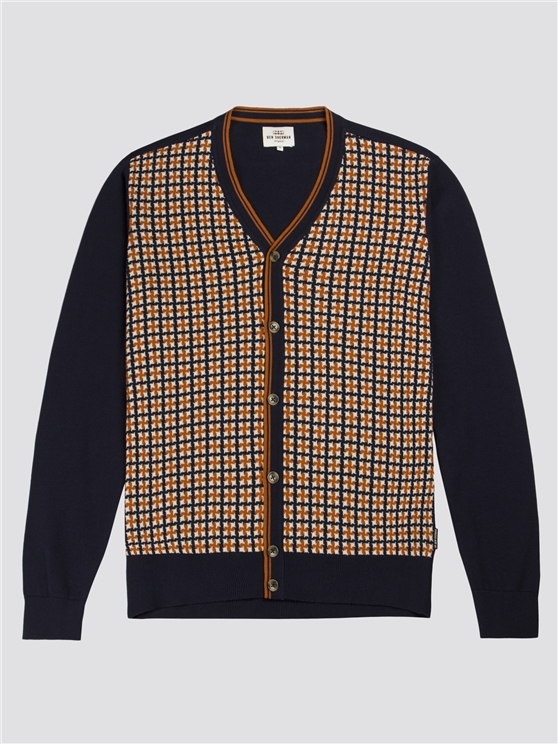 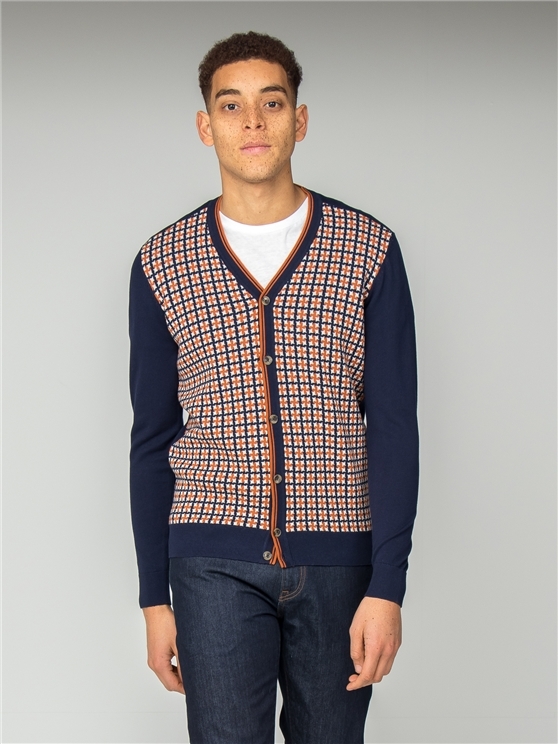 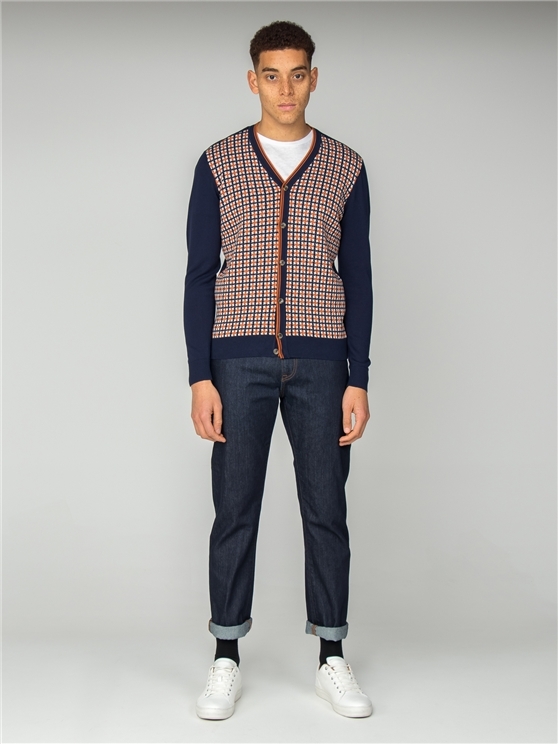 With a bright red white and blue jacquard pattern, this men's button up knitted cardigan is a true statement Ivy Style piece of knitwear for any wardrobe, with cotton knitted cardigan style that's ideal for the true original. 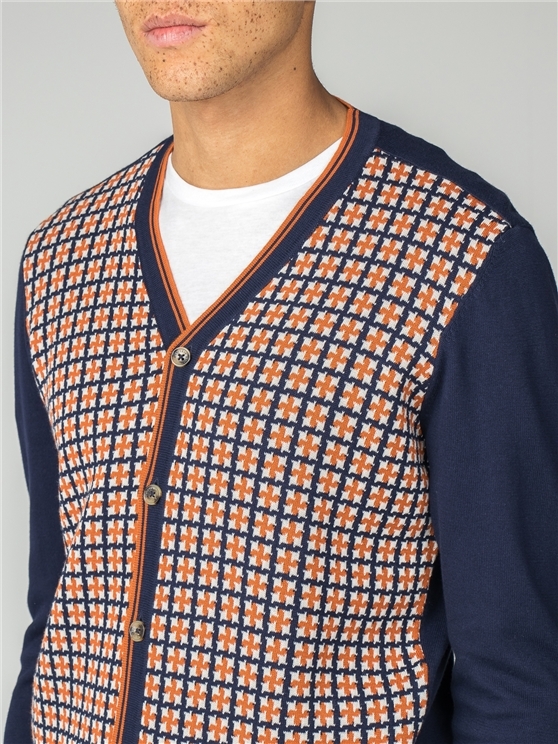 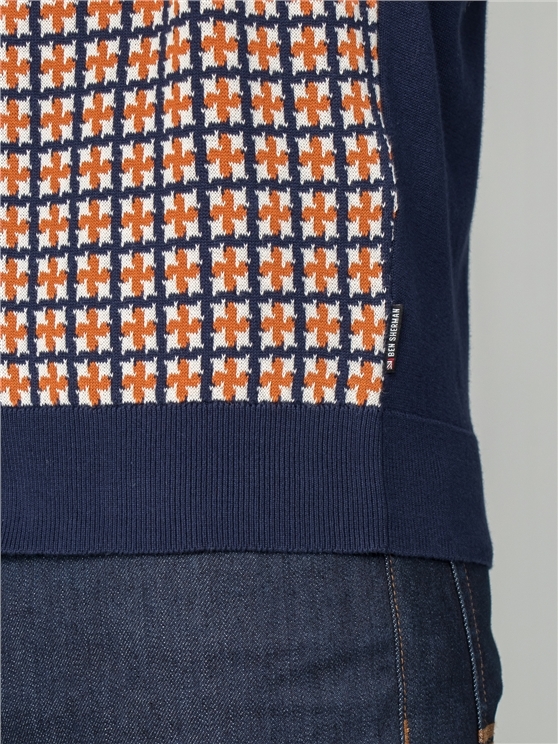 This navy blue men's cardigan features the iconic Ben Sherman branding, completed with striped piping and a checked pattern that adds colour, texture and style to any menswear. 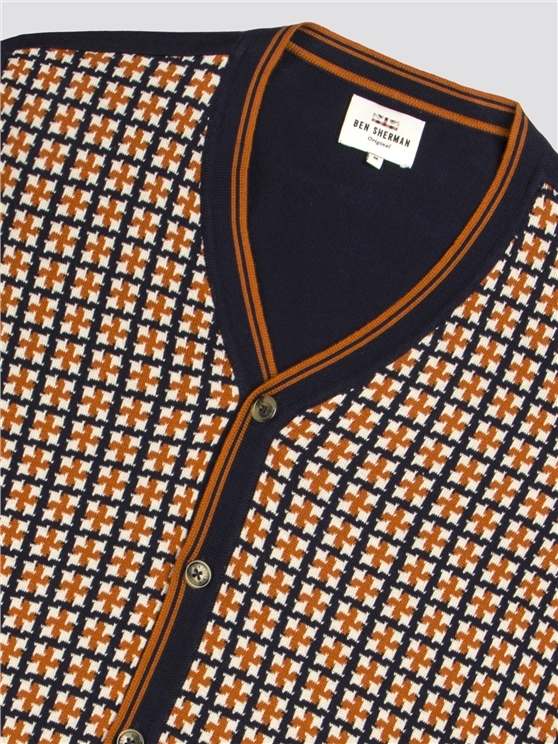 Pure Ivy men's knitwear style from the original Ben Sherman.